Is there a more aesthetically pleasing act than splitting open a sandwich and seeing how far the melted cheese can stretch from end to end? These seven eateries in the Oklahoma City area will assist you in setting a new cheese-stretching record. This loveable cafe is much more than its 200 varieties of coffee, smoothies and boba drinks. It offers full breakfast, po’boys and banh mi, salads and a healthy selection of panini and grilled croissant sandwiches. 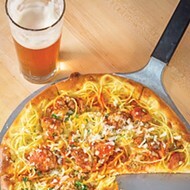 Its two varies of panini-pizza sandwiches are unlike anything else in the city. 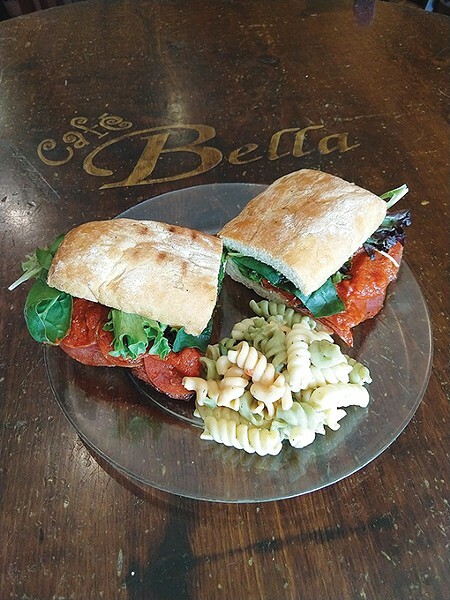 The Bellaroni tops salami and pepperoni with bell peppers, onions, provolone and marinara. 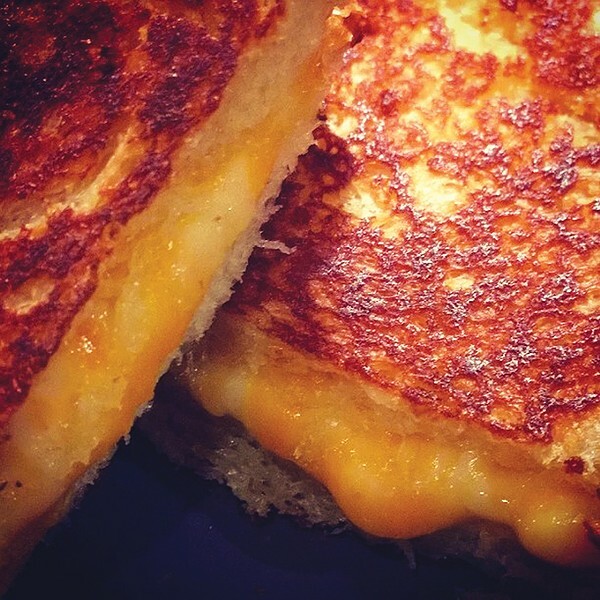 There is no place to hide in a simple three-ingredient grilled cheese. If any of the ingredients — cheese, bread and butter (or mayo; don’t knock it till you try it) — is off, the whole sandwich is ruined. 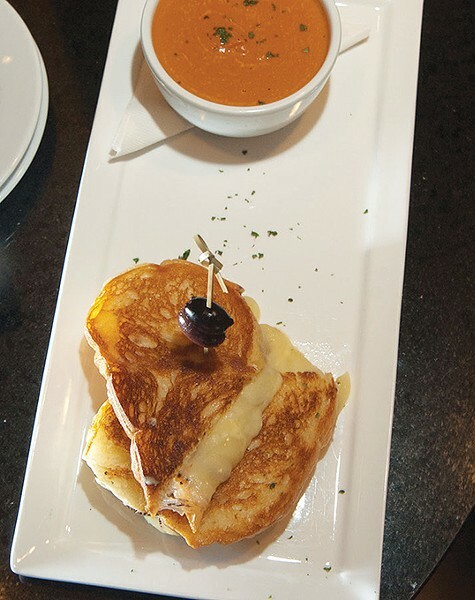 Go to Belle Kitchen, which uses house-made brioche bread (special because it contains extra butter) as the base for its classic grilled cheese. Fresh bread is also used for its Cuban and Rueben sandwiches. It would be impossible to compile this list and not include The Mule, a restaurant that has devised its whole menu around grilled cheese sandwiches. 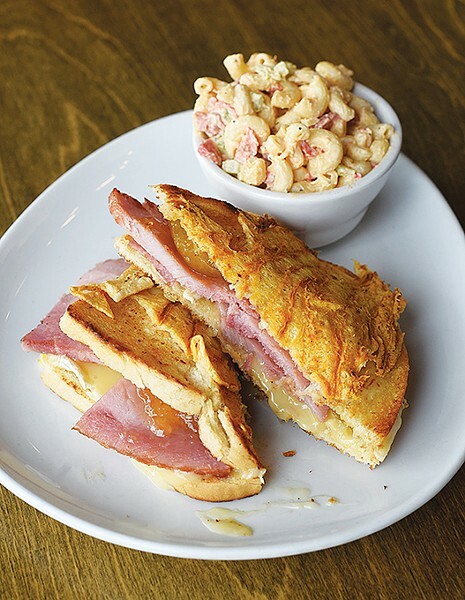 The Macaroni Pony (mac and cheese with pulled pork inside cornbread) and its take on the classic Croque Madame are among its most popular, but did you know you can get a salad and grilled cheese at the same time? 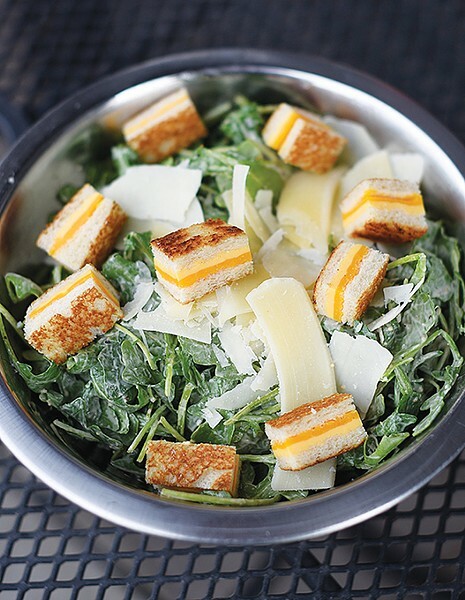 Its Caesar salad comes topped with grilled cheese croutons. Manchego cheese gets its name from the specific breed of sheep in Spain that supplies the milk for the cheese. Its buttery texture is on full display at The Lobby, where it is the co-star of its extra melty grilled cheese along with white cheddar. 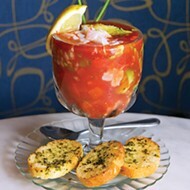 Manchego also makes an appearance with sautéed shrimp and crab salad on grilled Tuscan bread. Get the grilled chicken sandwich if you’re looking for melted Brie. 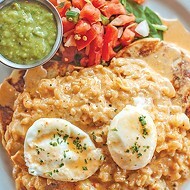 Elemental has seamlessly made the transition from coffee-only to expanded breakfast and lunch options thanks to an inventive menu that doesn’t hold back on the nutrients and cheese. Get the C’est La Brie for an elegant ham-and-cheese or try its take on a turkey Reuben, the Costanza, which includes Gruyere cheese. This mobile food truck is active in the Shawnee area and Oklahoma City, particularly on the weekends. 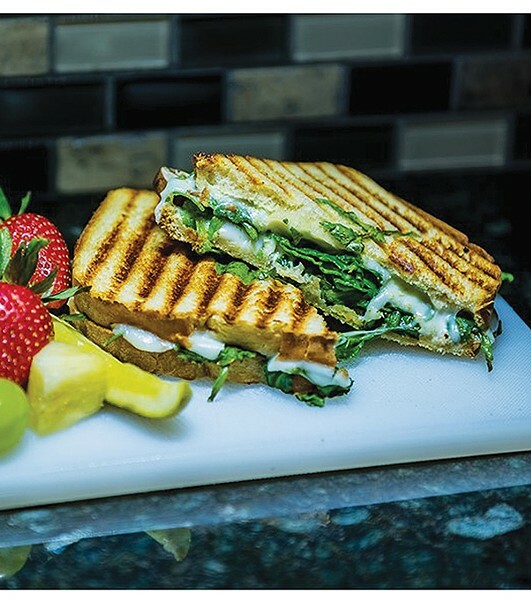 Don’t let the name fool you because there is plenty of both ooey and gooey goodness on its signature sandwich, the Hippo Panini: sourdough bread with goat cheese, pesto, spinach, mushrooms and mozzarella cheese. Don’t forget about this trendy store fulfilling more than your grocery needs when you’re in Nichols Hills or near its Edmond location, 1230 W. Covell Road. 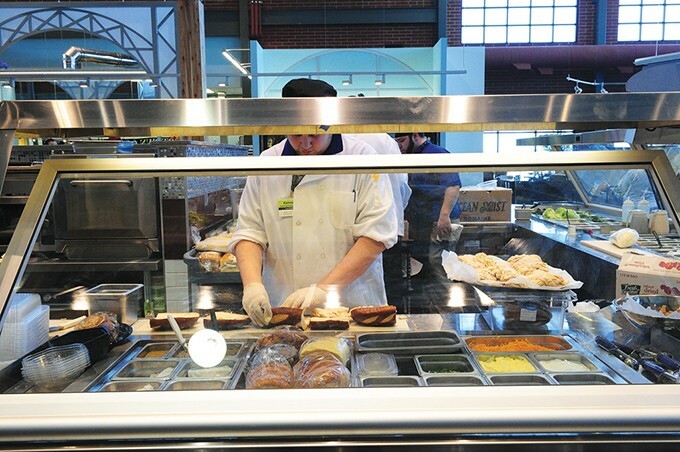 The cafeteria section of the store includes robust paninis, pizza and sushi. 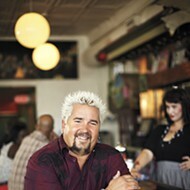 Get a chicken Parmesan, an Albuquerque Turkey or build your own. Either way, it will only cost you $6. 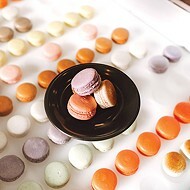 Gazedibles Café Bella Belle Kitchen The Mule The Lobby Cafe & Bar Elemental Coffee Roasters The Healthy Hippo Uptown Grocery Co.